The Die Roten legend starts 2019 with a fine followed up by an injury. Franck Ribery has reportedly suffered an injury in the practice game in Doha this evening. Bild reports that the injury-prone Bayern Munich icon has suffered a thigh strain and will be out for two weeks. 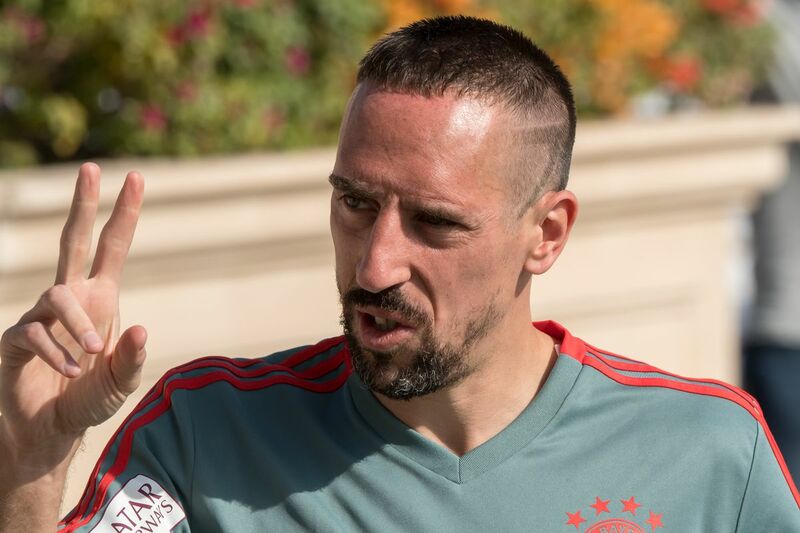 Rumored to be his last season at Bayern, Ribery will now miss the Telekom Cup that takes place in Düsseldorf in four days, as well as the first league game of the new year against Hoffenheim on the 13th of January. Ribery’s injury occurred during a closed internal test game similar to the game previously described here. Thanks to a moment of paparazzi from Bild, Bayern fans saw how the Croatian coach divided the two teams into a ‘defensive team’ and an ‘offensive team’. Kovac could be using these test matches to practice defensive drills against a high press. Everything is speculation as of now, but it is possible that Ribery may have been injured in a similar drill. Ribery has had a rough start to 2019, this injury occurring right after he was fined by Bayern for his rather childish response to journalists criticizing his dinner with the Turkish internet phenomenon known as Salt Bae, whose full name is Nusret Gökçe. Injuries suffered in training always leave fans with a feeling of irritation, since they seem so avoidable. Then again, the length of Ribery’s injury could be a lot worse. If his treatment goes well, Ribery will be back up and running before the Liverpool games. Daily Schmankerl: The aftermath of Bayern Munich vs. Werder Bremen; Callum Hudson-Odoi, James Rodriguez, Hakim Ziyech, and Arturo Vidal updates; & MORE! Report: FC Barcelona and Real Madrid feel used by Luka Jovic The Spanish powers are miffed about feeling like a pawn as the Eintracht Frankfurt star might be more likely to move to Bayern Munich or Paris Saint-Germain. Daily Schmankerl: The aftermath of Bayern Munich vs. Werder Bremen; Callum Hudson-Odoi, James Rodriguez, Hakim Ziyech, and Arturo Vidal updates; & MORE! The aftermath of Bayern Munich vs. Werder Bremen; Transfer news and updates on Chelsea’s Callum Hudson-Odoi, Bayern’s James Rodriguez, and FC Barcelona’s Arturo Vidal, plus MORE!